Block-a-Pix Deluxe is another puzzle game from husband and wife dev team Lightwood Games and follows in the same vein as their recent release Mixups, by offering a large number of simply presented puzzles. Now, we didn’t much like Mixups very much because it offered a style of gameplay that we’ve seen before but without any attempt to make it interesting and as such it felt very much like one of those puzzle books that you buy at an airport but not at all like a videogame. However, there is something to be said for catering to an audience that just wants puzzles without any other distractions and Block-a-Pix Deluxe follows that trend. 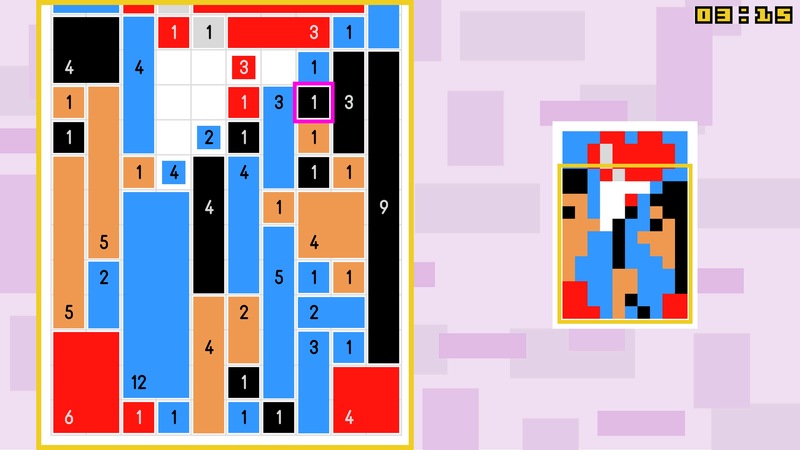 Now, the name sort of suggests a Picross style of game but Block-a-Pix Deluxe takes that style of puzzle and mixes it with a dash of Minesweeper to make something new. Each level is a large pixel art picture waiting to be completed. Individual pixels on the board are filled in already and any area that is more than one pixel is identified by a number that shows how many pixels are in that block. However, it doesn’t indicate the shape. You figure that out by looking at what the numbers around it are telling you in a ‘well if that’s a line there, then this shape has to be a rectangle’ kind of way. The number that represents an unfilled block can be from anywhere within that shape, so the game isn’t giving you too much information but it does give you enough to get through the level. If you see an odd number, that’s got to be a line but an even number could be a line or a rectangle/square. Much like Minesweeper, the more you fill in the easier it gets. If you look at the screen shot above the white area is still to be solved and the key numbers are the red 3 and blue 2 and 4. To make those fit the 4 has to be a vertical line going up, as does the 2 and the red 3 is a horizontal line with that digit in the middle block to fit. Eventually, you’ll fill in all the gaps in the play area on the left and the small overview of the picture will eventually come together on the right. Fill it all in and you move onto the next one. There are eighty puzzles across eight groups. The only difference between these groups is the size of the canvas the puzzle is on. The interface is super easy to use. You hold move the cursor with either stick and hold to expand your shape. You can release to start dragging from another side of that shape too which probably doesn’t make sense here but in the game it’s essential. For the first few levels I was enjoying the game. It’s very relaxing to play (at least once I soon turned down the twee, irritating background music) and the interface makes it very easy to control. Eventually though the levels get bigger and by the eighth set of levels, they are massive with each puzzle taking over an hour to complete. And while that makes sense for a puzzle game, things should get harder to finish as you go along, difficulty is never really a factor here. Block-a-Pix has one major issue and that is that it is never difficult. You’re not trying to work through multiple potential solutions like you would in Sudoku or any kind of logic problem here. If you’re working your way from the bits of the screen that are more apparent to solve, then it’s just a case of just doing the same thing over and over until the level is solved. Essentially you are painting by numbers here rather than really solving puzzles. If you run into any difficulties at all, pressing checks your board for errors and fixes them too if you so wish. There are no limits on that option and so players are pretty much faced with having a super powerful tool at their disposal that helps them easily solve the levels. I mean, for sure put a limit on that if you want to keep the integrity of the puzzles. It’s kind of like giving someone a crossword with the answers filled in with invisible ink and then putting a UV lamp next to them. 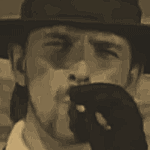 But the game is fairly easy with or without that. It’s just time consuming. So, for many gamers Block-a-Pix won’t really have any value. However, if you’re the sort of person who likes old-school puzzles such as jigsaws and the like, then this type of relaxing style of puzzle will appeal. The game’s simple visuals are nice and clear and the pixel art designs do get better as the level sizes increase. 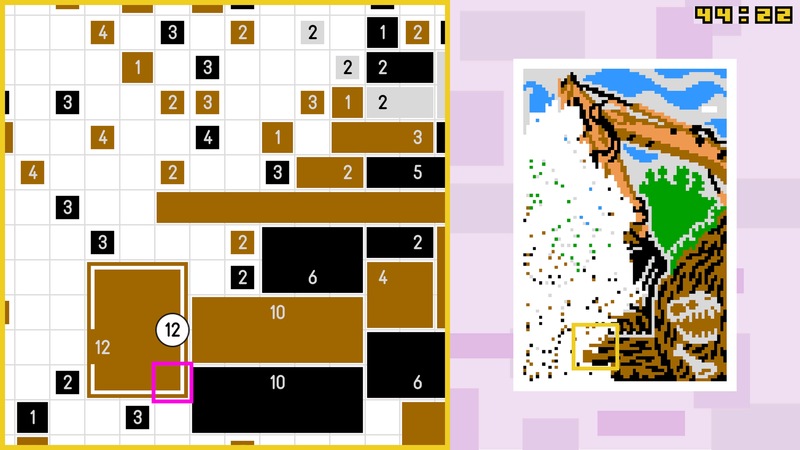 The use of colour is entirely based around the puzzles and works well. Of course, Block-a-Pix is never spectacular but it is functional. There’s probably a balance between this type of minimalism and, say, the visual gymnastics of say Tetris Effect that would be the sweet spot but Lightwood Games do favour this starker style of game. As ever, they’ve made a game that does one simple thing with the minimum of fuss. Then it just depends on your tastes when it comes to puzzle games. Some will appreciate the purity of the game, others will think that they’re just doing the bare minimum to get the game onto PSN. The truth is somewhere in between though. Vita owners may get more from it, as the game clearly has its roots in mobile gaming and the touchscreen controls do suit the gameplay (although the PS4’s traditional controls are absolutely fine as we said before). This is a game that is one to pick up and play (although don’t try to play the later levels while sat on the toilet or your legs will atrophy) and the Vita suits that. There’s no cross-saving though which is a shame but there are two trophy sets if you fancy grinding your way to two very achievable platinums. 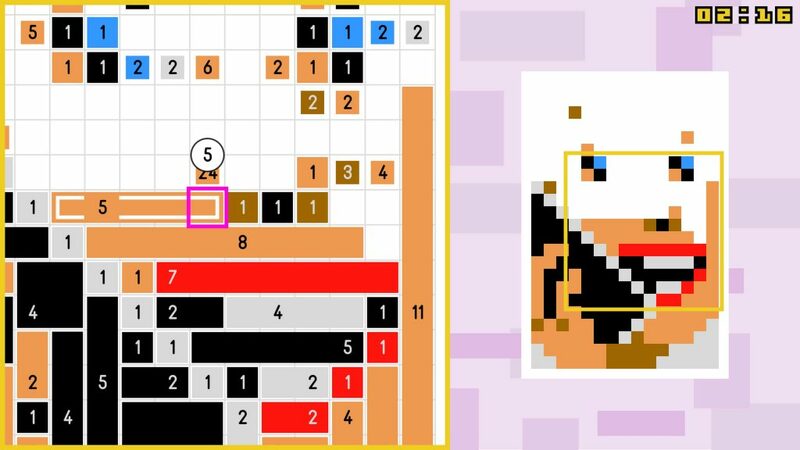 So, overall while the game’s simple presentation and samey gameplay are issues for us, we do prefer this to Mixups and while we might have preferred a straight Picross game, Block-a-Pix has some merit. We’re just not sure that we’ll ever finish all 80 levels because frankly we just don’t want to, which kind of says something about the game too. 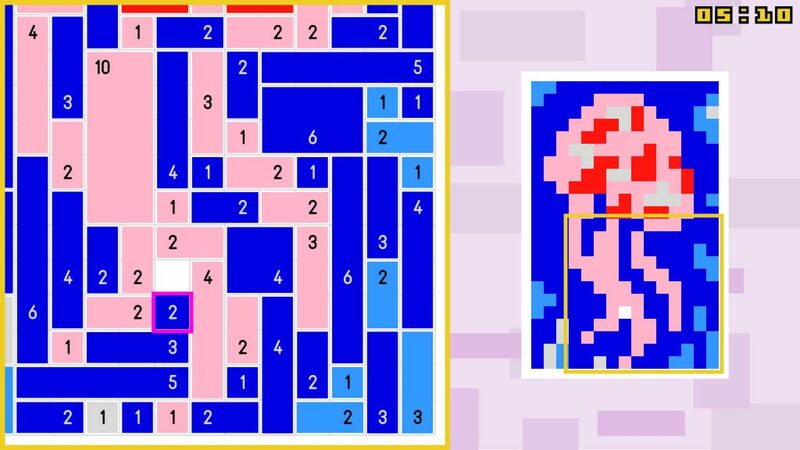 Block-a-Pix offers some very pure puzzle gameplay but is let down because the game feels more like painting by numbers than anything that will really challenge your brain. Puzzle game fans might find it lacking but it does have a certain relaxing quality to it.